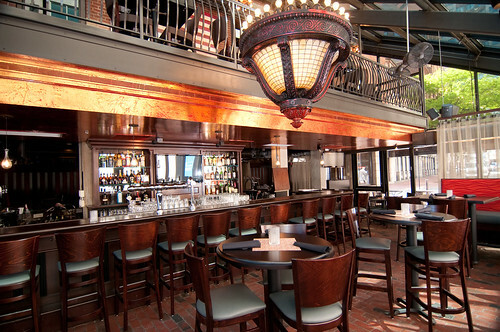 Last night, we started our evening at Anthem Kitchen & Bar in Faneuil Hall. I may have only been there for a 1/2 hour before I decided it wasn't my scene with the giant televisions airing the Bruins game. Let's just say, I enjoy going to bars and lounges where people actually mingle rather than stare at the tv getting frustrated one minute and then screaming with excitement the next. Not much to say about this place. Lovely location and decor. My sour apple martini was extremely strong which is always a good thing LOL. I guess I will have to come back here for a real evaluation when there isn't some kind of athletic event going on. Also, I think I will like this place during the day. Just a thought. Ciao!